The Hagerstown Suns are a Minor League Baseball team based in Hagerstown, Maryland, United States. The team, which plays in the South Atlantic League, is a Class A affiliate of the Washington Nationals. They play in Municipal Stadium, which was opened in 1930 and seats 4,600 fans. The team mascot is "Woolie", a giant Woolly Bear Caterpillar. Professional baseball has been played in Hagerstown since the late nineteenth century. The Hagerstown Lions played for one season in the independent Cumberland Valley League during 1896. The league began on June 19 and lasted until August 9, when it disbanded due to the disbandment of one of the teams, the Chambersburg Maroons, on August 7. The Lions finished the season in first place with a record of 26-12, three games ahead of Chambersburg. The Lions also dominated statistically, having the league leaders in runs (40 by Natty Nattress), hits (52 by William Graffius), wins by a pitcher (10 by Thomas Lipp), and winning percentage by a pitcher (.833 by Thomas Lipp, with a 10-2 record). Lipp and another Lion, John Gochnaur, were the first Hagerstown players to make it to the major leagues. In 1915, the class D Blue Ridge League was formed with its headquarters in Hagerstown. Hagerstown fielded a team for the next 16 seasons. Throughout this time, they won five pennants and donned four different names: the Blues, the Terriers, the Champs and the Hubs. Before the beginning of the 1931 season, the Blue Ridge League disbanded. The club was then affiliated with the class C Middle Atlantic League, but on June 28, 1931, the club moved to Parkersburg, West Virginia. The Hagerstown players with the most major league experience during this era were Mike Mowrey (13 major league seasons), Frankie Pytlak (12 major league seasons), and Babe Phelps (11 major league seasons). Professional baseball returned to Hagerstown in 1941 when Oren E. Sterling moved his Sunbury Indians franchise to town and became a Detroit Tigers affiliate. The newly named Hagerstown Owls (Oren, Win, Luck and Sterling) joined the Class B Interstate League. Gene Raney purchased the team from Sterling in 1950, and the renamed Hagerstown Braves became an affiliate of the Boston Braves. The team moved to the Piedmont League in 1953 and once again had a name and affiliation change. The new Washington Senators affiliate, the Hagerstown Packets, competed until the league disbanded after the 1955 season. Hagerstown was without a professional team until 1981 when Lou Eliopulos purchased the Rocky Mount Pines Class A Carolina League franchise and moved them north to Hagerstown. The team was a co-op affiliate during 1981, with coaches supplied by the Baltimore Orioles and players supplied by several major league clubs to include the Orioles, Chicago Cubs, Cleveland Indians, and Pittsburgh Pirates. The newly named Hagerstown Suns proceeded to win the Carolina League championship in their inaugural season by defeating the Peninsula Pilots. In 1982, the Suns began a long-term affiliation with the Baltimore Orioles. The 1982 Suns had a better record than the 1981 team, but did not reach the playoffs. For 1983, despite winning 84 games, the Suns finished 10.5 games behind the North Division champion Lynchburg Mets. The winner of the South Division was the Winston-Salem Red Sox, who won 10 games less than the Suns. Hagerstown also led the Carolina League in attendance during 1983 with 153,660 fans as compared to Durham's 142,370. They experienced their first losing season in franchise history in 1984, finishing 30 games behind the first place Lynchburg Mets. One reason may have been the fact the team had three different managers (John Hart, Len Johnston and Grady Little) during the season. In 1985, the Suns played an exhibition game with the parent club Baltimore Orioles. The Suns’ best overall record in franchise history and a return to the Carolina League Championship Series came in 1986. However, the Suns would lose the league championship to the Winston-Salem Spirits. The Suns would also make the playoffs in 1987, only to be eliminated in the first round by the eventual league champion Salem Buccaneers. Despite having the best overall record in the Carolina League North Division in 1988, the Suns did not make the playoffs. This occurred because the Suns did not win either the first or second half. The team that won the North Division Championship was the Lynchburg Red Sox, whose overall record was 11 games worse than the Suns. The Suns still hold several Carolina League one game individual and team records. 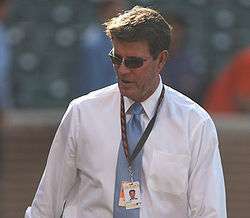 Jim Palmer, shown here in 2009, is the Suns' only Hall of Fame member. In addition to the Carolina League records, the Suns also had many other individual distinctions during the Carolina League period. Matt Tyner and Ken Gerhart set the club record for season home runs with 31 in 1981 and 1983 respectively. 1983 was also the year Hall of Fame member Jim Palmer made a rehabilitation start for Hagerstown. Craig Worthington and Pete Stanicek were the standouts in 1986. Worthington set a Suns record with 105 runs batted in (RBIs) and would hit 15 home runs. He did this while maintaining a .300 batting average. Meanwhile, Stanicek batted .317 and set a Suns' record (later tied by Don Buford in 1988) by stealing 77 bases, only getting caught 17 times. One other noteworthy player for Suns' fans in 1986 was Mick Billmeyer, a local product from nearby Funkstown. He would play the entire 1986 season as the primary back-up to Suns catcher Jeff Tackett. The 1987 offense was led by Leo Gómez. He batted a league leading .326 with 19 home runs and 110 RBIs. Gomez also led the Carolina League in doubles with 38. The ace of the Suns' rotation in 1987 was Blaine Beatty. Beatty went 11-1 with a 2.52 earned run average (ERA) in 13 starts with the Suns before being promoted to AA Charlotte. He completed 4 of his starts and allowed just 81 hits in 100 innings. Beatty was also named the 1987 Carolina League Pitcher of the Year. In 1989, Hagerstown moved up to the Double-A Eastern League, taking over the Williamsport Bills franchise and again affiliating with the Orioles. (The Carolina League franchise would relocate just down Interstate 70 as the Frederick Keys, maintaining the Orioles' Class A affiliation.) Suns' fans would see some familiar faces as past players such as Leo Gómez, Pete Stanicek, Dave Bettendorf, Ken Dixon, and Brian Dubois returned. On offense, David Segui batted .324 with 1 homerun and 27 RBI's in 44 games in his second stint with Hagerstown after being promoted from Frederick. Leo Gómez would hit 18 home runs, a team leading total. Suns fans also saw the return of Steve Finley, who came back to Hagerstown via a rehabilitation assignment. In 11 games, Finley would bat .417 with 7 RBI's and 4 stolen bases. On the pitching side, Mike Linskey was the ace of the starting staff with 10 wins and a 2.81 ERA in 18 starts. Despite his dominance with the Suns, Linskey would never pitch in the major leagues. The Suns finished their first season in Double A 5 games under .500, and would finish fifth in the then eight team Eastern League. They narrowly missed the playoffs by 3 games and were 24.5 games back of the 1st place, and eventual league champion, Albany-Colonie Yankees. 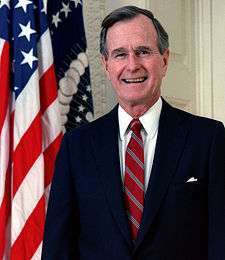 George H. W. Bush attended a Suns game as a sitting U.S. President in 1990. The Suns failed to make the Eastern League playoffs in 1990. While they fell short of that quest, the Suns still had one of their more interesting years. Jack Voigt would contribute mightily to the offense as he batted .256 with a team leading 12 homeruns and 70 RBI's. Scott Meadows led the team with 75 RBI's. Luis Mercedes batted a league leading .334. He also stole a team leading 38 bases. Three prominent Baltimore Orioles, Sam Horn, Brady Anderson, and Mike Devereaux, would make rehabilitation appearances. Anderson stood out the most among the group as he hit .382 in 9 games. The pitching staff was led by Anthony Telford, who went 10-2 with a 1.97 ERA in 13 starts for the Suns, completing 4 games. Another milestone in 1990 was the visit of George H. W. Bush to Municipal Stadium to attend a Hagerstown Suns baseball game. This visit was the first time a sitting President of the United States attended a minor league baseball game. After back to back losing seasons, the Suns returned to their winning ways in 1991, making their only Eastern League playoff appearance. They would finish in second place, only to lose to the eventual league champion Albany-Colonie Yankees in the first round. The offense got power from Paul Carey, who hit a team leading 12 home runs. The Sun's best all around hitter may have been first basemen Ken Shamberg, who hit .275 with 10 homeruns and a team best 82 RBI's in 114 games. Top prospect Arthur Rhodes led the pitching staff. Over the course of 19 starts, Rhodes would go 7-4 with a 2.70 ERA and strikeout 115 batters in 106.2 innings, while walking just 47. Rhodes also won the Eastern League Most Valuable Pitcher Award. He also made his Major League debut with the Orioles after being promoted directly from Hagerstown. Stacy Burdick was the leader in pitching wins 11, yet it was the last professional season that he pitched. Burdick went 29-17 combined between 3 stints with Hagerstown including time with the Carolina League franchise as well. Todd Stephen would lead the team in saves out of the bullpen with 17 and had a 2.12 ERA in 89 innings pitched. Much like the year before, Suns fans saw multiple rehabilitation assignments pass through as Kevin Hickey, Dave Johnson, Bob Milacki, Billy Ripken, and Glenn Davis each had stops in Hagerstown. All of this would add to what was by far the Suns best season in the AA Eastern League. The Suns also had their all-time highest attendance record, with 193,753 fans passing through the gate. The team fell short of its quest for the Eastern League playoffs in 1992. Mel Wearing led the team with only 5 homeruns. Scott Meadows would hit .317 in 45 games with the Suns; this would prove to be his final year with the Orioles organization. Manny Alexander, the Suns' shortstop, hit .259 and stole a team-leading 43 bases. He did this at the age of 21, young for AA baseball. The 1992 season would also complete a unique trifecta for the Suns. In this season, Don Buford would manage his son Damon. His other son, Don Jr., had played for the Suns in 1988 and 1989. Don Jr. tied the Suns record for stolen bases by a Suns with 77 in 1988 and would come back in 1989 to steal 30 more. Damon meanwhile, stole 41 bases in 1992 with the Suns. Damon would be the only one of the two sons to follow in his father's footsteps by playing in the major leagues. Finally, 1992 may be remembered because of the uncertainty that hung over the season. The Suns' and Keys' owners failed to claim an Eastern League expansion franchise for Bowie in 1993 (coinciding with the Florida Marlins' and Colorado Rockies' addition to the majors), they instead chose to move their existing franchise there as the Bowie BaySox. It also ended Hagerstown's relationship with the Baltimore Orioles, which dated back to 1981. Unlike when the Carolina League team had left a few years earlier, there was no guarantee that another team would return to Hagerstown. Hagerstown would not go without, though. Winston Blenckstone immediately relocated his Myrtle Beach Hurricanes franchise in the South Atlantic League to Hagerstown after the 1992 season and promptly renamed them the Suns. All of the changes would bring a competitive team to Hagerstown for the 1993 season. The offense got steady power production from Mike Coolbaugh, who led the team with 16 home runs. The best all-around hitter on the team proved to be D.J. Boston. Boston would hit .315 with 13 home runs and 93 runs batted in (RBI's). Those numbers were good enough to earn him league Most Valuable Player (MVP) honors. Two outfielders, Rickey Cradle and Jose Herrera, put together solid seasons at the plate for the Suns. Herrera hit .317 in 95 games, while Cradle belted 13 home runs. Brad Cornett led the team in earned run average (ERA), with a 2.40 mark, and also innings pitched, with 172.1. Silva went 12-4 with a 2.52 ERA in 142.2 innings. In that time frame, Silva struck out 161 batters. Overall, the Suns had a winning season in 1993. In 1994, the Suns reached the playoffs for the first time since 1991. On offense, the team was led by former first round draft choice Shannon Stewart. Stewart hit .324 with 4 home runs and 25 RBI's in an injury-shortened season. Tom Evans would return from the 1993 squad, hitting .273 with 13 home runs and 48 RBI's in 95 games. The power was supplied by Lorenzo Delacruz and Ryan Jones, who hit 19 and 18 home runs, respectively. Jones also had a team leading 72 RBI's. Edwin Hurtado went 11-2 with a 2.95 ERA in 33 games, 16 of which were starts. The bullpen was headlined by Steve Sinclair and Dave Sinnes. Sinclair appeared in 37 games out of the bullpen and picked up a total of 9 wins with 105 innings pitched. Sinclair only made one start for the Suns all year. Closer Sinnes tied for the South Atlantic League (SAL) lead with 37 saves. The Suns advanced to the league championship. However, the Savannah Cardinals beat the Suns to win their second straight championship. In 1995, veteran Jeff Ladd led was the home run leader on the team. Ladd hit 19 home runs in 95 games before a promotion to AA level Knoxville. This would turn out to be Ladd's last professional season. Bobby Llanos hit 17 home runs and produced a team leading 63 RBI's. The Suns got stable production behind the plate from Julio Mosquera. Mosquera hit .291 in 108 games for the team. Brian Smith would pitch his way to a 9-1 record in 47 games out of the bullpen and pick up 21 saves along the way. He also had 101 strikeouts in 104 innings. Doug Meiners proved to be the Suns' best starter of the season, as he went 8-4 with a 2.99 ERA in 18 starts. Another highlight from the starting staff was Tom Davey, who went 4-1 with a 3.38 ERA in 8 starts. 1996 was the Suns first losing year in the SAL. First basemen Mike Whitlock led the team in home runs (20) and RBIs (91) with a .252 batting average while drawing a franchise record 108 walks. He did this in 131 games at the age of 19, yet never played a game in the major leagues. Another player who displayed power was Craig Wilson. Wilson hit 11 home runs with 70 RBIs while maintaining a .261 batting average. Craig Stone returned from the 1995 squad, batting .310 with 10 home runs and 35 RBIs in 56 games. Mike Johnson won a staff leading 11 games and also had a team-leading total of 162.2 innings pitched. He made his major league debut a season later with the Baltimore Orioles. Tom Davey won 10 games and had a 3.87 ERA in 26 starts. In 1997 the offense was led by Luis Lopez, who put together one of the best individual years by a Sun ever. Lopez batted .358 with 11 home runs and 99 RBI's. These numbers would give him SAL MVP honors. The pitching staff was led by Clint Lawrence, who won a team-leading 13 games in 26 starts. One pitcher who had a bizarre season was starter Gary Glover. Glover posted a 3.73 ERA and threw a team leading 173.2 innings. He, along with John Bale, tied for the team lead in strikeouts with 155. Despite these advantages, his overall record was 6-17. Those 17 losses set a franchise record. The Suns finished in last place, 11 games behind first place Charleston (WV). In 1998 the offense got power from catcher-first basemen Bobby Cripps. Cripps hit 29 home runs and also led the Suns with 88 RBIs and threw out 47 percent of would be base stealers in 56 games behind the plate. Mike Young batted .282 with 16 home runs and 86 RBI's at second base. Two other future Major League All Stars on the Suns that year were Vernon Wells and César Izturis. Wells batted .285 with 11 home runs and 65 RBI's. Izturis meanwhile had a .262 average with a team leading 20 stolen bases. John Sneed would have one of the best seasons ever by a Suns pitcher, as he won a franchise record 16 games, while losing just 2, with a 2.56 ERA in 27 starts. He also collected 200 strikeouts in 161.1 innings pitched. Clayton Andrews returned from the 1997 squad and nearly matched Sneed's dominance. He went 10-7 with a 2.28 ERA and had 193 strikeouts in 162 innings pitched. The Suns closer was Jaron Seabury, who had a dominating 1.65 ERA in 45 games with 17 saves. The Suns won the first half division title and finished with the best record in the Northern Division. They made the playoffs and won in the first round, but did not advance to the championship because the league now had a three round playoff format featuring 8 out of 14 teams. In the second round, the Suns would lose to the eventual league champion Capital City Bombers. In 1999 Jay Gibbons was the best all-around hitter. In 71 games, Gibbons batted .305 with 16 home runs and 69 RBI's. Second basemen Jorge Nunez batted .268 with 14 home runs and 61 RBI's, while leading the team with 51 stolen bases. Outfielder Ryan Fleming hit an impressive .335 in 61 games. Tyler Thompson led the team with 17 homeruns and RBI's with 81. Pasqual Coco went 9-1 in 14 starts with a 2.21 ERA. Scott Cassidy would win a team leading 13 games in 27 starts in 170.2 innings. He struck out 178 batters, leading the team. The Suns bullpen got a strong season from closer Jarrod Kingrey. Kingrey had 27 saves and 69 strikeouts in 61 innings. The Suns made the playoffs by winning the first half division title and wound up with the best overall record in the SAL. They would be knocked out of the first round by their division rival, the Cape Fear Crocs. This was the last season that the SAL used a three division (North, Central, and South) format. The Suns had a losing season and did not make the playoffs in 2000. Reed Johnson hit .290 with 8 home runs and 70 RBIs in 95 games. Kevin Cash led the team in home runs with 10, while also contributing 27 RBIs in 59 games. He displayed great defense by throwing out 55 percent of potential base stealers. Shortstop Brandon Jackson led the team with a .312 batting average, while outfielder Shannon Carter stole a team leading 33 bases. Marcos Sandoval led the Suns with 163.2 innings pitched, while Travis Hubbel posted a 3.89 ERA in 19 starts. Matt Ford, a 19-year-old left-hander, went 5-3 with a 3.87 ERA in 18 games, 14 of which were starts. He struck out 86 batters in 83 innings with the team. Rob Hamman picked up 8 wins while pitching in 34 games, but only one of them was a start. The most unusual aspect of the season was the bench clearing brawl that occurred in July against the Columbus Red Stixx at Municipal Stadium. The Suns were losing when Reed Johnson was hit by a pitch that caused outfielder Auntwan Riggins to charge the pitcher from the dugout. The brawl led to so many ejections that Columbus was unable to field a full team and had to forfeit the game to the Suns. Officially, Hagerstown was declared the game's winner by a 9-1 score. 2001 brought on a lot of changes for the Hagerstown Suns. After eight seasons with the Toronto Blue Jays, the team switched its parent club to the San Francisco Giants. The team was also sold to Andy Rayburn. On the field, the Suns returned to their winning ways. The offense got power from Dan Trumble, who led the team with 26 home runs. Outfielder Jason Ellison put together a good season, as he batted .291 with a team leading 19 stolen bases in 130 games. Adam Shabala would post a solid .313 batting average in a span of 70 games. The pitching staff was the best that the Suns had since joining the South Atlantic League, as two pitchers won over 10 games. Boof Bonser tied the Suns' record for wins in a season with 16, while losing just 4 games. He also struck out 178 batters in 134 innings, earning him the South Atlantic League Pitcher of the Year. Another player with 10 plus wins was Jeff Clark. Clark would go 14-9 while posting a solid 3.65 Earned Run Average (ERA) in 27 games. The most impressive season for the Suns may have come out of the bullpen, as closer Jackson Markert put together a memorable year. Markert broke the Suns' save record by picking up 39 saves and posting a strong 2.82 ERA. His success was a big reason why the Suns advanced to the playoffs. After winning the Northern Division second half title, the Suns entered the playoffs, but come up short as Lexington swept them in two games. The Suns missed the playoffs in 2002, suffering a losing record. Tyler Von Schell led the Suns in home runs with 14. Julian Benavidez led the way in RBIs. Brandon Florence may have been the best all around hitter on the team with an batting average of .303, with 11 home runs and 63 RBIs in 109 games. On the pitching side, Anthony Pannone led the Suns with nine wins and led innings pitched with 168.2. Ryan Hannaman put together a nice season with a 2.80 ERA and 145 strikeouts in 131.2 innings. Suns' fans also saw a glimpse of what was to come with Francisco Liriano. Liriano would go 3-6, but had a 3.59 ERA and struck out 85 batters in 80 innings as an 18-year-old. The Suns finished 20.5 games back of the first place, and eventual league champions Hickory Crawdads. Mandalay Entertainment Group purchased the team from Andy Rayburn in 2002. While the team did not make the playoffs in 2003, they still managed to scrape together a winning season. The Suns' best power hitter in 2003 was Carlos Sosa, who led the team in both homeruns and RBI's with 10 and 63. Derin McMains hit a solid .289 in 54 games before he was promoted to High A San Jose. Brian Buscher would come to the Suns in the 2nd half and hit .275 in 54 games. The strength of the Suns in 2003 lied in their pitching staff, in which several pitchers had great seasons. Merkin Valdez went 9-5 with a 2.25 ERA in 26 starts. He also led the Suns in innings pitched with 156, and strikeouts with 166. Josh Habel led the team with 11 wins in 36 games, 16 of which were starts. Habel also managed to accumulate 127 strikeouts in 122 innings. Brian Stirm was also solid, as he went 8-5 with a 2.86 ERA in 17 games. Other noteworthy starters for the Suns in 2003 were Clay Hensley and Matt Cain. Hensley went 4-3 with 3.18 ERA in 12 starts before he was promoted to High A San Jose, but one start in particular was noteworthy. On May 3, 2003, Hensley threw the Suns’ only perfect game. He did this by retiring 21 consecutive batters in the second game of a double header against the Kannapolis Intimidators. Meanwhile, Matt Cain went 4-4 in 14 starts with the Suns, while posting a strong 2.55 ERA. He managed to strikeout 90 batters in just 74 innings. In the bullpen, Matt Palmer would have a great season as he went 5-0 with a 1.20 ERA and 25 saves. The Suns pitching staff in 2003 stands out among the best in franchise history. 2004 turned out to be one of the worst seasons for the Suns ever as they finished in last place in the South Atlantic League North Division, 34.5 games behind the eventual league champion Hickory Crawdads. In his short stay with the team, Nate Schierholtz proved to be the best hitter. He would bat .289 with 15 homeruns and 54 RBI's in just 59 games. Another productive hitter on the team that year was Travis Ishikawa. Ishikawa had exactly the same home run and RBI total as Schierholtz, with a .257 average in 97 games. Both players would be promoted to High A San Jose before the season's end. Designated hitter Jason Columbus led the team in RBI's with 87. The Suns' leader in wins was Juan Serrato, who compiled 8 wins in 26 games, 21 of which were starts. The Suns' best all around pitcher in 2004 was reliever Joe Bateman. Bateman went 7-5 with a 2.14 ERA in 36 games. He picked up 81 strikeouts in just 70 innings of work before he was promoted to AA Norwich. One pitcher of note in the Suns bullpen was Brian Wilson. Wilson's numbers in Hagerstown were not impressive, 2-5 with a 5.34 ERA in 23 games and 3 starts. However, Wilson's later major league performances earned him a spot in the Hagerstown Suns Hall of Fame. Hagerstown once again changed affiliates in 2005, a two-year stint with the New York Mets. Minor league baseball teams are known for their promotions, and the Suns had one consistent with the cold weather that Hagerstown has early in the baseball season. The Suns unveiled their "Eskimo Day" promotion including giving every fan a free ice cube and granting free admission to fans indigenous to Alaska, Canada or any place where Eskimos are part of the culture. There was also a special contest for fans at the ballpark: guessing how long it would take a bucket of ice to melt. On the field, the season began with seven game winning streak. On May 8, Hagerstown and Asheville combined for 35 runs in the Suns' 19–16 victory. Hagerstown broke a 16–16 tie with three runs in the 12th inning. The clubs set a South Atlantic League record with 20 extra-base hits, while the 41 hits–23 for Hagerstown—matched a league mark. Also in May, Hagerstown committed seven errors in a game against Delmarva. In June, the Suns qualified for the playoffs in dramatic fashion. Pitcher Gaby Hernandez's 115-pitch no-hitter in a 1–0 win over the West Virginia Power on June 19 set up a one-game playoff between the Suns and Lexington Legends on June 25 for the first-half crown. Both teams completed the first half regular schedule with 42–28 records. In the one game playoff, the Suns defeated the Legends, 9–4, with Hernandez again taking the mound and the win. The Suns slumped badly during the second half of the season, finishing last in the Northern Division. In September however, Hagerstown did manage to win the Northern Division by defeating the second half Northern Division champion Delmarva Shorebirds two games to one. The Suns were ultimately unsuccessful in their quest for the South Atlantic League championship, losing to the Kannapolis Intimidators three games to one. Overall, the Suns had a losing season in 2006, with a 58–82 record. The Suns' prowess in promotions was recognized with the award of the "Veeckie" Award from ESPN The Magazine for their "They even gave away the Kitchen Sink" kitchen sink giveaway promotion. The award, named after famous baseball promoter Bill Veeck, is given annually by the magazine to recognize the industry's top promotions each season. The Suns have received a "Veeckie" in three of the past five years. Previous winning promotions included the Guinness World Record for the Youngest Broadcaster ever (2002) and the Free Funeral Giveaway (2003), which was also selected as the Promotion of the Year by ESPN the Magazine and was named as one of the top five baseball promotions of all time by Sports Illustrated. The most noteworthy event on the field was an 8–7 loss at Lakewood, a 22-inning marathon that took nearly a week and a half to complete. The game began on April 26, but was called in the 17th due to league rules that state an inning cannot be started after 12:30 a.m. It was finally completed on May 6, taking 7 hours and 47 minutes. The 22 innings bested the previous 21 inning South Atlantic League record. In 2007 the Suns became a member of the Washington Nationals farm system. The Suns won few games as the talent-poor Nationals organization rapidly promoted Suns players with potential. Of four players selected for the South Atlantic League (SAL) All-Star Game (Leonard Davis, Cory VanAllen, Mike Daniel and Chris Marrero), none actually played because they had been promoted to the Advanced-A Potomac Nationals by the time the actual game occurred. In the promotions area, romance novelist Nora Roberts was honored with a Nora Roberts bobblehead on July 6. Roberts is a resident of Washington County, Maryland, where Hagerstown is located and has been honored by the Suns several times. 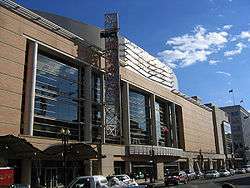 There were two significant milestones for the Suns organization in 2008. The first occurred on May 30, when the number 50 was retired in honor of in honor of SAL President Emeritus John Henry Moss. Along with the number-retiring ceremony, the Suns honored Moss with a bronze plaque placed in Municipal Stadium, highlighting his 50 years of service to the SAL. 50 is only the third number retired by the Suns, the other two being 42 for Jackie Robinson and 24 for Willie Mays, who played his first minor league game in Hagerstown. The second milestone occurred on November 13 when Hagerstown native and Suns Director of Business Operations Carol Gehr was selected as the Rawlings Woman Executive of the Year. The Rawlings Award honors an outstanding woman executive from either Major League or Minor League Baseball. Gehr was with the club in many capacities over a 25-year career spanning six different ownership groups. A bright spot to an otherwise dismal season in 2009 was the performance of catcher Derek Norris. He led the SAL with a .413 on-base percentage and 90 walks while being named the SAL's Most Outstanding Major League Prospect. He also finished among the top five in the SAL in homers (23), extra-base hits (53), RBIs (84), runs (78) and slugging percentage (.513). He was selected as the designated hitter to the Class A Topps/MiLB All-Star Team, which includes both Advanced-A and A level leagues. On July 15, 2010, Hagerstown players Steve Souza and J.R. Higley were suspended for using performance-enhancing drugs. Each received 50-game suspensions after testing positive for methylphenidate and ritalinic acid, performance-enhancing substances in violation of the Minor League Drug Prevention and Treatment Program. Souza was a 2010 SAL All-Star. On the field, Eury Perez's four stolen bases in seven innings against Delmarva on August 19 was nominated as one of the Class A games of the year for 2010. Finally, a new ownership group with local ties, Hagerstown Baseball, LLC, purchased the Suns in September 2010 for a reported 6.7 million dollars from Mandalay Sports Entertainment. Mandalay used proceeds of the sale to purchase the Oklahoma City Redhawks AAA franchise. The new ownership group is led by Florida businessman and general manager of Polo Trace Country Club Bruce Quinn; Tony Dahbura, corporate vice president of Hub Labels in Hagerstown; Dr. Mitesh Kothari of Hagerstown; and Quinn's sister, Sheri. Bryce Harper playing for the South Atlantic League Suns in 2011. Two number one draft picks dominated the news for the Hagerstown Suns in 2011. Bryce Harper, the overall first pick in the 2010 Major League Baseball Rule 4 first year player draft, started the season with the Suns. Before he moved to the Double A Harrisburg Senators in mid-season, he played well enough to be selected for the SAL All-Star Game. Later in the season, the 2009 overall first pick, Stephen Strasburg, pitched at Hagerstown on a rehabilitation assignment. 2012 had a tragic beginning when Mitchell Akers, an 18-year-old high school senior who was working with the team, died on April 11. Sources within the league said he fell off the back of a John Deere Gator at Municipal Stadium and later died from his injuries. On the field, 2012 proved to be a banner year for Suns third baseman Matt Skole. He led the SAL in home runs (27), bases on balls (94), on base percentage (.438) and slugging percentage (.574). In addition, Skole was also elected as the Nationals Minor League Player of the Year and the SAL Player of the Year. The Suns made the divisional playoffs; however, they were swept by the defending SAL champion Greensboro Grasshoppers two games to none. In 2013, Hagerstown led the SAL in the offensive categories of runs scored (692), runs batted in (608) and on base percentage (.341). The Suns had several players named to the SAL Northern Division All-Star roster (Pedro Severino, Tony Renda, Brandon Miller, Dixon Anderson, Robert Benincasa, and Pedro Encarnacion), as well as coach Franklin Bravo and manager Tripp Keister. The Suns again qualified for the divisional playoffs as the SAL first half Northern Division champions. Improving over 2012, the Suns won the SAL Northern Division championship, defeating the West Virginia Power two games to one. However, in the league championship, the Suns fell to the Savannah Sand Gnats three games to one. Tony Renda was selected as the initial recipient of the Bob Boone award, granted to the Washington Nationals' minor league player "who best demonstrates the professionalism, leadership, loyalty, passion, selflessness, durability, determination and work ethic required to play the game the Washington Nationals way." Hagerstown began the 2014 season with a record of 31 wins and 8 losses, which was the highest winning percentage in the minor leagues. However, the team then went 13–18, finishing with a first half season record of 44–26. The Greensboro Grasshoppers shared the 44–26 record. However, because Greensboro defeated Hagerstown in three out of four games during the first half season, Greensboro was awarded the SAL Northern Division first half title. The second half season proved to be a repeat of the first half season. Once again, Greensboro and Hagerstown finished in a tie for first, this time with identical 43-27 records. The tie breaker system worked in the Suns' favor this time, because Hagerstown won five of seven games against Greensboro in the second half. Shining brightest among the Suns' everyday players in 2014 was SAL Most Valuable Player Wilmer Difo. The middle infielder led the SAL with 176 hits, placed second in the SAL with 49 stolen bases and was fourth in the SAL with 90 runs batted in. In addition, Difo was the recipient of the 2014 Bob Boone Award. Fellow SAL End of Season All-Star Rafael Bautista led the league with 69 steals. The pitching was also a team strength, led by Lucas Giolito who was honored as the league's top pitcher and top major league prospect. The Suns improved their playoff performance in 2014 over 2013, but it was still not enough to claim the John Henry Moss Cup, symbolic of the SAL championship. The Suns swept the Northern Division championship series two games to none over the Greensboro Grasshoppers, but lost the SAL championship series three games to two to the Asheville Tourists. The most unusual game of 2015 occurred on April 15 when the Suns won a 1-0 game against the West Virginia Power despite having no hits. The lone run in the game crossed the plate in the top of the first inning. The Suns loaded the bases after being issued two walks and one batter getting hit. With two outs, left fielder Jeff Gardner drew a walk to force home right fielder Narciso Mesa from third to score the only run of the game. This was the first Minor League no-hitter resulting in defeat in a full-season league since 2008. Overall, 2015 was a disappointing season for the Suns. They finished with an overall losing record, missing the playoffs for the first time since 2011. However, 2015 was good for first baseman Jose Marmolejos. He led the SAL in hits, doubles, runs batted in, and total bases in addition to being selected for the SAL End of Season All-Star Team. 2016 saw a return to postseason play for Hagerstown as the Suns won the first half Northern Division title by one half game over the Delmarva Shorebirds. In the Northern Division championship the Suns were swept 2-0 by the Lakewood Blueclaws. The Suns SAL End of Season All-Stars were Kevin Gutierrez (third base), Ian Sagdall (utility infielder) and Patrick Anderson (manager). In addition, Brandon Groomes was selected as the SAL Bat Person of the Year for the second year in a row. Discussions concerning the relocation of the Hagerstown Suns to Virginia began circulating in 2012. That year a letter from the Washington Nationals was sent to Suns majority owner Bruce Quinn stating that Hagerstown's 80-year-old Municipal Stadium was no longer up to Major League Baseball standards. This prompted the owner to begin looking for other options. Initially, Quinn began discussions with the Winchester Economic Development Authority to relocate the team to Winchester, Virginia, to begin play in 2014. The negotiations failed in part because of the refusal of the community to provide public funding for a new stadium. Not coincidentally, Suns fan attendance at home games fell to its lowest point in Suns history to that point, despite the team qualifying for the playoffs for the first time in seven years. In October 2013, the Suns formally applied to Minor League Baseball to relocate to Fredericksburg, Virginia for the 2015 season. The Suns and their partners, New Jersey-based Diamond Nation and a Fredericksburg-area automotive company, agreed to purchase a 38-acre stadium site inside the Fredericksburg city limits. The facility was initially planned to be ready for the start of the 2015 season at a cost of $29 million. However, in November 2014 Diamond Nation announced that it was terminating its option to purchase the Suns. A contributing factor in this decision was the increase in estimated cost to build the facility to $53 million. In 2015, Quinn entered into negotiations with Spotsylvania County, Virginia officials to move the Suns. Quinn proposed a 5,000-seat, $30 million stadium, with $28 million borrowed by the county and $2 million paid by the Suns, who would pay a rent of $175,000 annually. Minor league baseball had given Quinn until July 31 to complete the deal. With the deadline passed, the Suns will be in Hagerstown for the foreseeable future. The Hagerstown Suns Municipal Stadium boasts the honor of being one of the three oldest Minor League baseball stadiums in the country. From 1915–1929, Hagerstown's minor league teams played at Willow Lane Park, where Bester Elementary School is now located. When the city made the decision to build the school, the need for a new stadium was urgent. The Field and Athletic Association was created to find land and build a stadium. The organization struck a deal with the city, leasing a tract of land for 99 years at $1 per year. Municipal Stadium was quickly built on the land in a mere six weeks, just in time for the first home game on May 8, 1930. Since then, the stadium has undergone two major renovations. The first took place in 1981, when Minor League baseball returned to Hagerstown after a 26-year absence from the city. About $546,000 was put into the stadium overhaul, which included the installation of a public address system, stadium lights, underground electricity, and new seats and bleachers. In 1995, $500,000 worth of improvements to the stadium were made, such as the installation of new seats, and upgrading the VIP section to include cup holders. The Sunset Grille and bar area was also added at this time. The playing surface was renovated following the 2010 season. In addition, seating improvements and the installation of a state-of-the-art video board enhanced fans' experiences in 2011. In April 2014, Hagerstown and the Suns agreed to a two-season lease extension on Municipal Stadium for 2015 and 2016 which can be voided by mutual agreement. The Suns have an in-state rivalry with the Delmarva Shorebirds, an affiliate of the Baltimore Orioles. This particular rivalry is also fueled by the regional rivalry between the two parent clubs. Hagerstown Suns home games are broadcast online via streaming audio on the team's website. The voice of the Hagerstown Suns for home games in 2016 is Jordan Nicewarner. Away games are handled through the other team's media outlet. ↑ "30 Teams in 30 Days 1989". ↑ "30 Teams in 30 Days 1988". Hagerstown Suns Fan Club. Retrieved August 25, 2012. ↑ Encyclopedia of Minor League Baseball. Baseball America. 2007. p. 170. ↑ "Hagerstown Suns History". milb.com. Retrieved February 24, 2011. 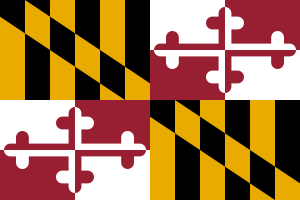 ↑ "Hagerstown Formally Voted Berth in Inter-State (Class B) League". The Morning Herald. Hagerstown, Maryland. February 7, 1941. ↑ "1981 Hagerstown Suns Statistics". Baseball-Reference.com. Retrieved 14 November 2014. ↑ Spadden, Zach. "Year of the Suns". Hagerstown Magazine: The Best of Life in Washington County and Beyond. RidgeRunner Publishing, LLC. Retrieved November 11, 2014. 1 2 3 "2016 Carolina League Media Guide and Record Book". ↑ "Hagerstown Suns 35: Honoring Your Tradition". Retrieved November 11, 2014. ↑ Encyclopedia of Minor League Baseball. Baseball America. 2007. p. 620. ↑ "1988 Carolina League Review". The Baseball Cube. Retrieved 13 November 2014. ↑ Wulf, Steve (August 15, 1983). "Biggest Bird In The Bushes". Sports Illustrated. Retrieved May 30, 2014. ↑ Spedden, Zach (September 5, 2010). "30 Teams in 30 Days: 1986". Hagerstown Suns Fan Club. Retrieved November 13, 2014. ↑ "30 Teams in 30 Days 1989". Hagerstown Suns Fan Club. Retrieved September 14, 2014. ↑ Goldberg, Stan (June 5, 2011). "History Lesson: Memories of Bush's visit to Grove Stadium". Frederick News-Post. Frederick, Maryland. Retrieved September 13, 2014. ↑ Morgan, Jon (June 24, 1992). "Bowie, Wilmington to get teams in minors shuffle". The Baltimore Sun. Retrieved May 4, 2014. ↑ Baker, Kent (September 16, 1992). "Single-A team moves to Hagerstown; Blue Jays affiliate fills city's void". The Baltimore Sun. Retrieved May 4, 2014. ↑ Encyclopedia of Minor League Baseball. Baseball America. 2007. p. 650. ↑ Encyclopedia of Minor League Baseball. Baseball America. 2007. p. 656. ↑ Spedden, Zach (September 15, 2010). "30 Teams in 30 Days: 1995". Hagerstown Suns Fan Club. Retrieved November 11, 2014. ↑ Spedden, Zach (September 16, 2010). "30 Teams in 30 Days: 1996". Hagerstown Suns Fan Club. Retrieved November 11, 2014. ↑ Encyclopedia of Minor League Baseball. Baseball America. 2007. p. 673. ↑ Spedden, Zach (September 18, 2010). "30 Teams in 30 Days: 1998". Hagerstown Suns Fan Club. Retrieved November 11, 2014. ↑ Spedden, Zach (September 19, 2010). "30 Teams in 30 Days: 1999". Hagerstown Suns Fan Club. Retrieved November 11, 2014. ↑ Spedden, Zach (September 20, 2010). "30 Teams in 30 Days: 1999". Hagerstown Suns Fan Club. Retrieved November 11, 2014. ↑ Greene, Julie (January 13, 2001). "New Suns owner has passion for baseball". The Herald-Mail. Hagerstown, Maryland. Retrieved September 25, 2014. ↑ Spedden, Zach (September 22, 2010). "30 Teams in 30 Days: 1981". Hagerstown Suns Fan Club. Retrieved September 25, 2014. ↑ Spedden, Zach (September 22, 2010). "30 Teams in 30 Days: 1982". Hagerstown Suns Fan Club. Retrieved September 25, 2014. ↑ Butki, Scott (December 6, 2002). "New Suns owner has passion for baseball". The Herald-Mail. Hagerstown, Maryland. Retrieved September 26, 2014. ↑ "Hensley Achieves Perfection". Baseball America. September 23, 2010. Retrieved September 25, 2014. ↑ Spedden, Zach (September 22, 2010). "30 Teams in 30 Days: 2003". Hagerstown Suns Fan Club. Retrieved September 25, 2014. ↑ Spedden, Zach (September 22, 2010). "30 Teams in 30 Days: 2004". Hagerstown Suns Fan Club. Retrieved September 25, 2014. ↑ Justic, Eric (September 28, 2005). "Flashback: April in the South Atlantic League". mlb.com. Retrieved May 6, 2014. ↑ Justic, Eric (September 29, 2005). "Flashback: May in the South Atlantic League". mlb.com. Retrieved May 6, 2014. ↑ "South Atlantic League Notebook for June 22, 2005". ↑ "Suns cap season with ESPN 'Veeckie' award". milb.com. September 19, 2006. Retrieved May 9, 2014. ↑ Storm, Stephanie (May 8, 2006). "South Atlantic League Notebook for the week ending May 6". milb.com. Retrieved May 9, 2014. ↑ "Davis joins Sally All-Stars". milb.com. June 26, 2007. Retrieved May 17, 2014. ↑ "Hagerstown celebrates Nora Roberts". milb.com. May 26, 2007. Retrieved May 17, 2014. ↑ "Suns release 2007 promotional schedule". milb.com. April 2, 2007. Retrieved May 17, 2014. ↑ "Suns to honor John Henry Moss". milb.com. May 29, 2008. Retrieved May 17, 2014. ↑ "Suns' Gehr is top Woman Executive of 2008". milb.com. November 13, 2008. Retrieved May 17, 2014. ↑ "Topps, MiLB name Class A All-Stars". milb.com. November 25, 2009. Retrieved May 18, 2014. ↑ "All-Star Souza banned for 50 games". milb.com. July 15, 2010. Retrieved May 18, 2014. ↑ "Cast your ballot for MiLB's Top Games". milb.com. October 25, 2010. Retrieved May 18, 2014. ↑ "Hagerstown Suns baseball team reportedly sold to investor group". Cumberland Times-News. Cumberland, Maryland. September 18, 2010. Retrieved May 18, 2014. ↑ Driver, David (June 21, 2011). "Duvall leads way at Sally All-Star Game". milb.com. Retrieved May 18, 2014. ↑ Marshall, Ashley (August 23, 2011). "Lamb outduels Strasburg for Hickory". milb.com. Retrieved May 18, 2014. ↑ Byler, Billy (April 14, 2012). "Hagerstown Suns worker dies in accident". The Augusta Chronicle. Augusta, Georgia. Retrieved May 22, 2014. ↑ "South Atlantic League 2012 Batting Leaders". ↑ Wagner, James (September 7, 2012). "Nationals minor leaguers of the year, Matt Skole and Nathan Karns, honored". The Washington Post. Retrieved May 19, 2014. ↑ "South Atlantic League 2012 Playoffs". Retrieved May 20, 2014. ↑ "South Atlantic League 2013 Team Batting". ↑ "It's Power vs. Contact for SAL All-Stars". ↑ "Nationals name OF Billy Burns & RHP Taylor Jordan Minor League Player and Pitcher of the Year". ↑ Emery, Mark (September 25, 2014). "Nats' top prospect Giolito visits Washington". milb.com. Retrieved September 27, 2014. ↑ Ballew, Bill (September 2, 2014). "South Atlantic League Playoff Preview". Minor League Baseball. Retrieved September 2, 2014. ↑ "2014 Playoffs". Minor League Baseball. Retrieved September 14, 2014. ↑ Pearlstein, Eli (April 15, 2015). "Suns split wild series with West Virginia". milb.com. Retrieved September 6, 2015. ↑ Baggerman, Mike (April 15, 2015). "Say what? : Power no-hit Suns and lose". milb.com. Retrieved September 6, 2015. ↑ Dykstra, Sam (September 1, 2015). "Moncada, Guillorme among SAL All-Stars". milb.com. Retrieved September 6, 2015. ↑ Wild, Danny (August 30, 2016). "Mundell, Keller take home top SAL honors". milb.com. Retrieved October 27, 2016. ↑ "SAL announces 2016 award winners". Minor League Baseball. Retrieved October 28, 2016. ↑ Lovelace, C.J. (August 9, 2012). "Looking doubtful Suns will move to Winchester". The Herald-Mail. Hagerstown, Maryland. Retrieved April 27, 2014. ↑ "South Atlantic League Attendance". MiLB.com. Minor League Baseball. ↑ Freehling, Bill (October 1, 2013). "Hagerstown Suns apply to relocate to Fredericksburg". Business Insider. Fredericksburg.com. Retrieved October 23, 2013. ↑ Shok, Holly (November 6, 2013). "Hagerstown City Council agrees to pay for upgrades to Municipal Stadium". The Herald-Mail. Hagerstown, Maryland. Retrieved April 6, 2014. ↑ Freehling, Bill (October 21, 2013). "Slavery museum gives up city land; stadium backers reach deal on Celebrate Virginia site". The News Desk. Fredericksburg.com. Retrieved October 23, 2013. ↑ Freehling, Bill (January 3, 2014). "Stadium groundbreaking planned for spring". The News Desk. Fredericksburg.com. Retrieved January 5, 2014. 1 2 Shok, Holly (April 23, 2014). "Hagerstown Suns agree to city's terms on two-year lease extension". The Herald-Mail. Hagerstown, Maryland. Retrieved April 26, 2014. ↑ Gould, Pamela (November 25, 2014). "Baseball deal out in city". Fredericksburg.com. Fredericksburg Free Lance-Star. Retrieved January 12, 2015. ↑ Gould, Pamela (December 2, 2014). 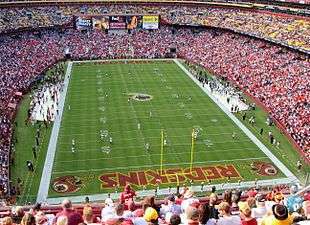 "Fredericksburg moving on tax sale of stadium site". Fredericksburg.com. Fredericksburg Free Lance-Star. Retrieved January 17, 2015. ↑ Lovelace, C.J. (August 11, 2015). "Hagerstown Suns strike out again in proposed Virginia move". The Herald-Mail. Hagerstown, Maryland. Retrieved September 7, 2015. ↑ "History of Municipal Stadium". ↑ Pearlstein, Eli (April 4, 2013). "Suns lose opener to Delmarva 4-3". milb.com. Retrieved September 6, 2015.